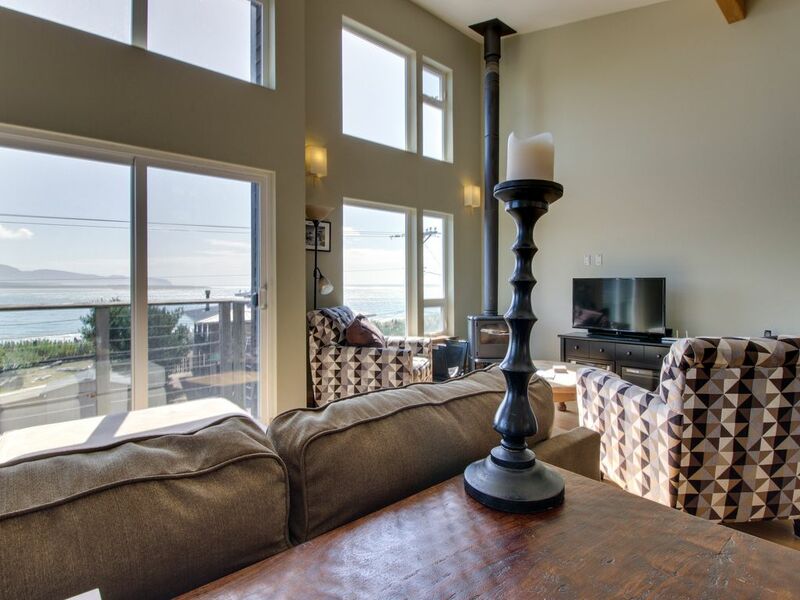 Luxurious dog-friendly home with ocean views and beach access! 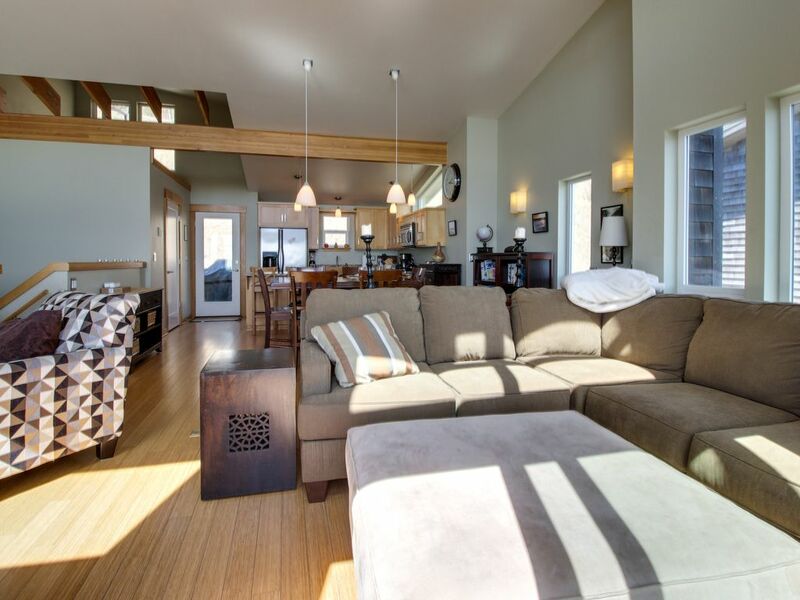 If you feel like taking a relaxed beach vacation, this wonderful home in Netarts is just the place for you! 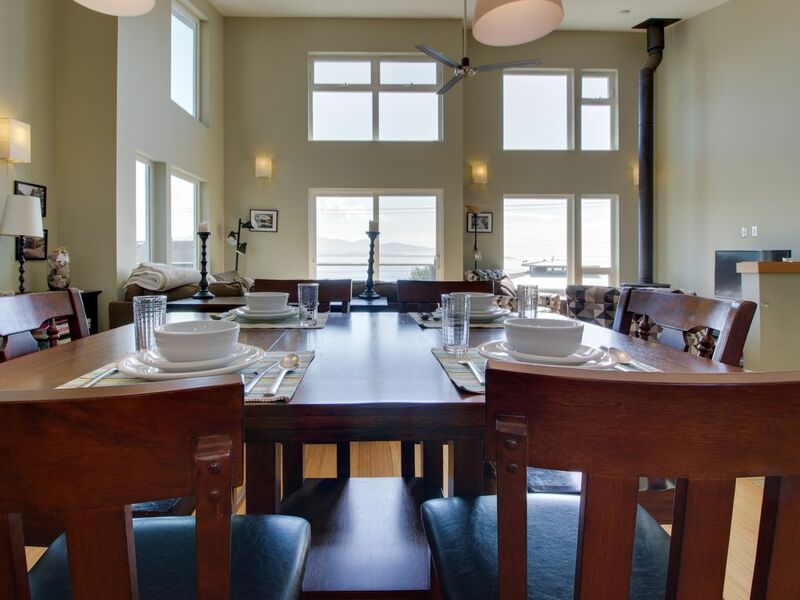 Featuring marvelous ocean views, close access to the beach, and space for up to eight guests and their dogs, this home is ready and waiting to make your vacation extra special. 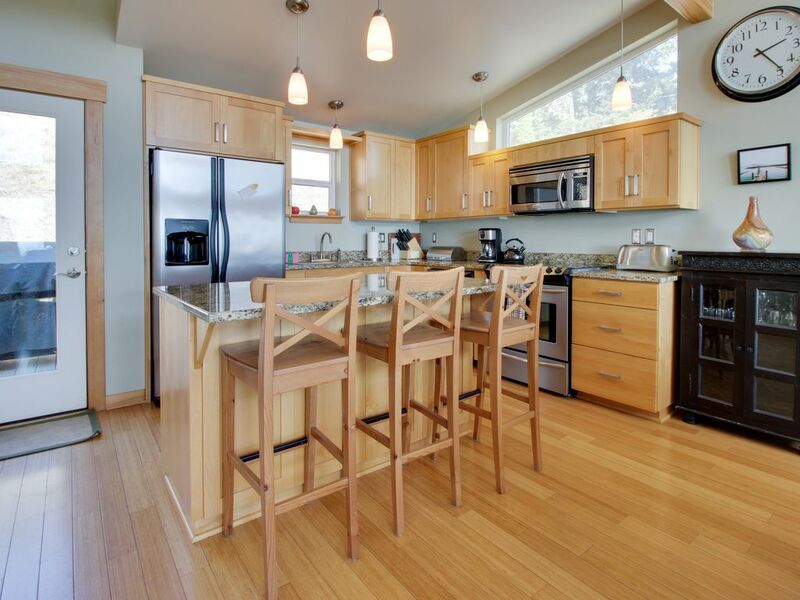 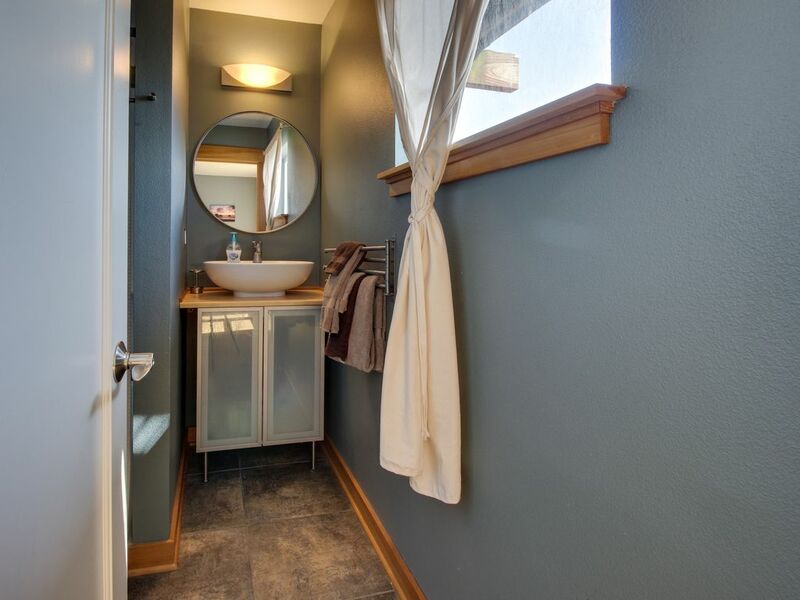 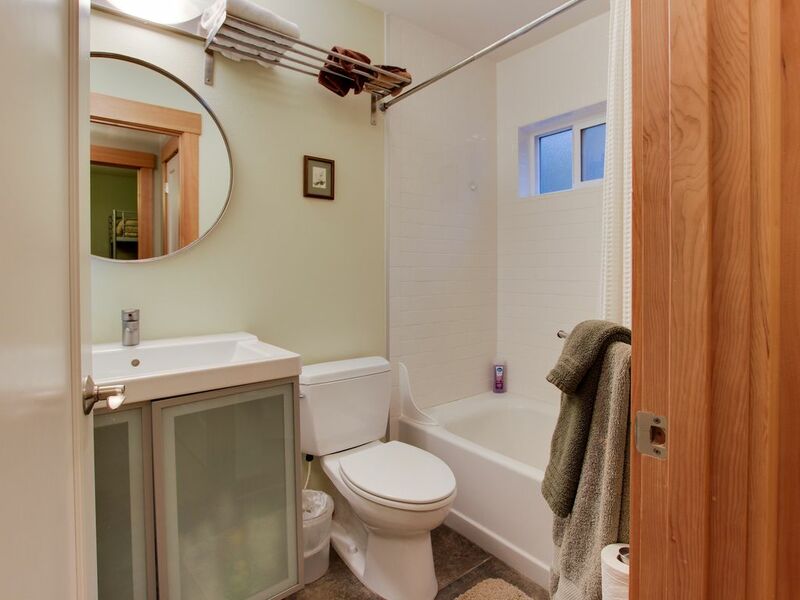 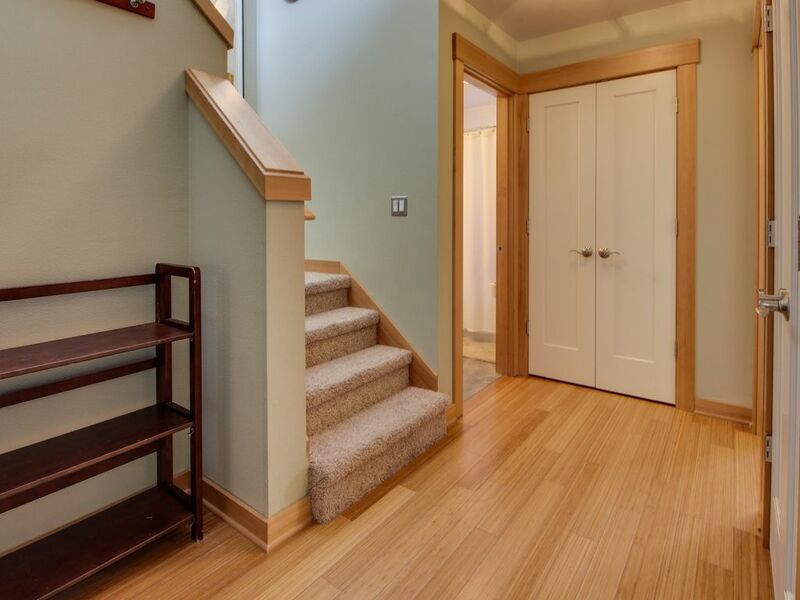 Located toward the north end of Netarts, this home is within easy walking distance of the beach, a market, and a deli. 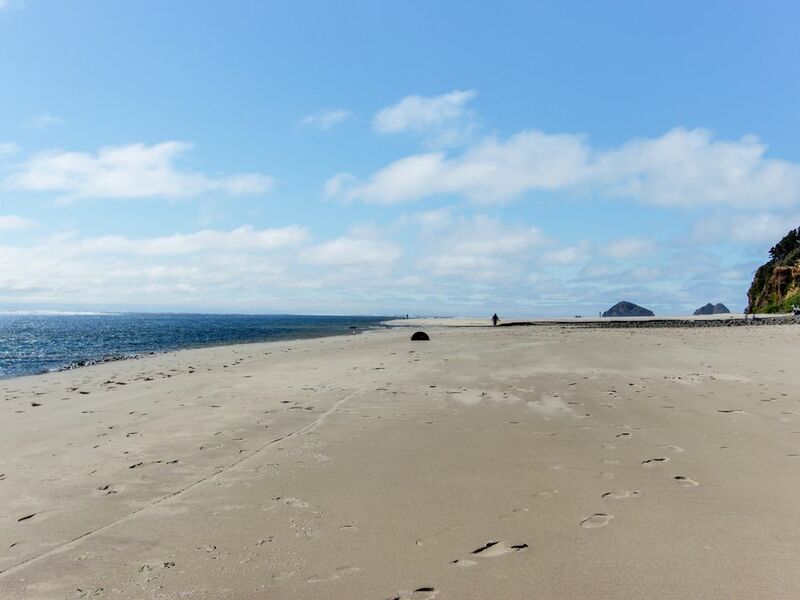 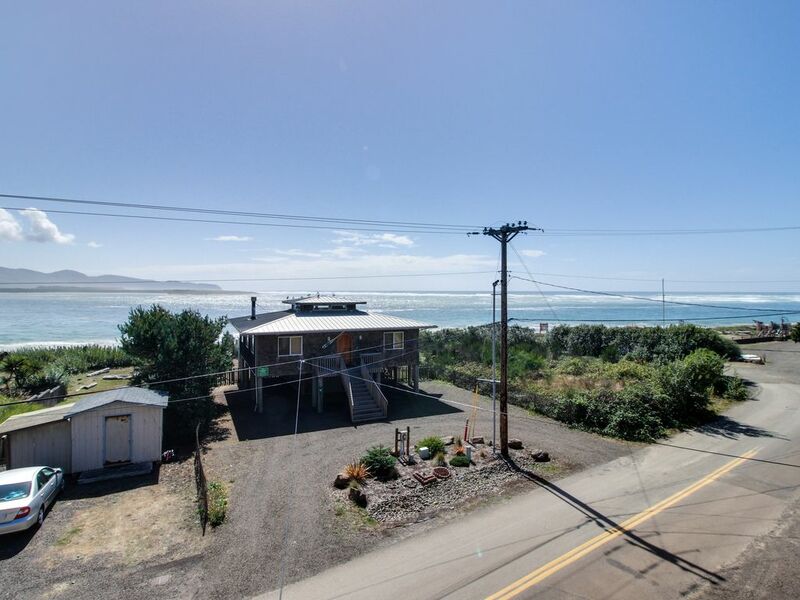 To get to the sandy shore of Netarts Bay, you can walk just across the street and past a few houses, and if you follow that shore north a bit you will find yourself on the ocean beach. 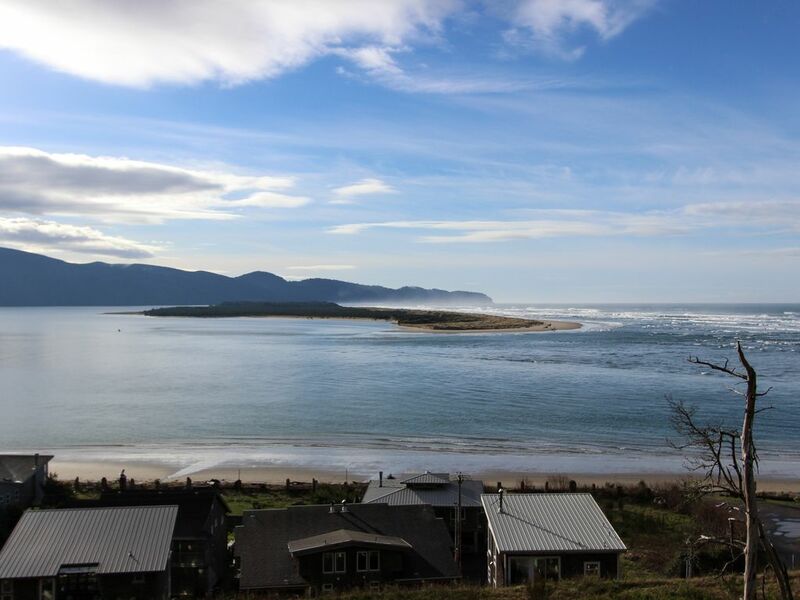 Netarts has a few restaurants and a grocery store, but if you would like more options you can take a quick 10-minute drive over to Tillamook, which has a large variety of eateries, shops, and activities. 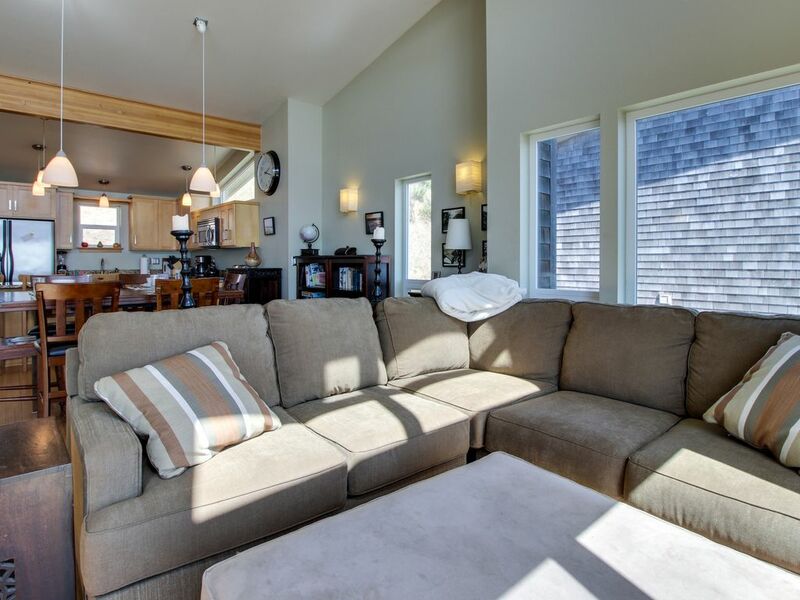 With three bedrooms and three bathrooms, this home can comfortably accommodate six guests, though up to eight are welcome to stay here as long as a guest is happy on the couch. 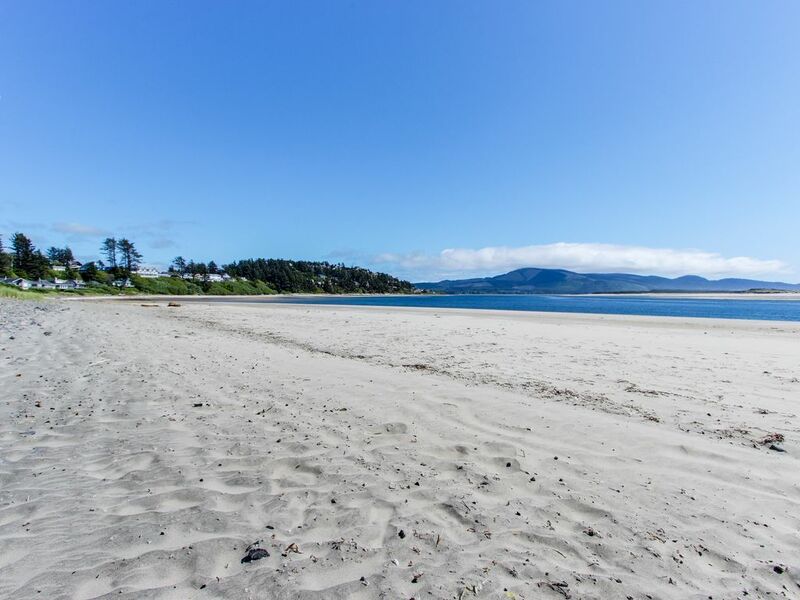 You can even bring your dogs with you, though please note that an additional pet fee applies. 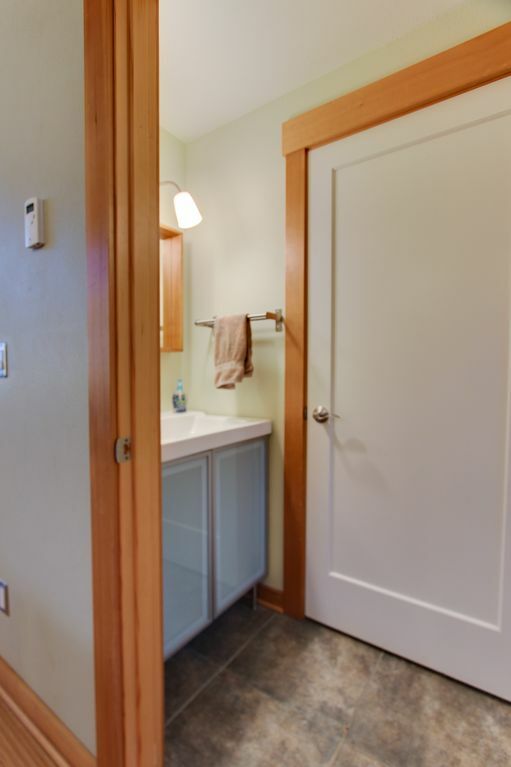 Also, if you have guests driving in from different areas, up to three vehicles can park on site. 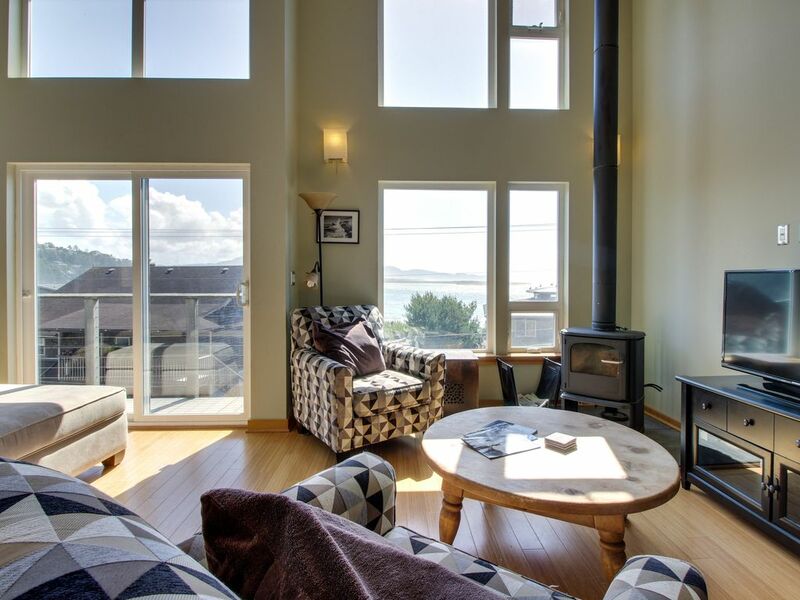 From the upstairs living room, you can lounge on the many seating options, gaze out the large windows at the ocean, start a fire in the wood stove, and watch some cable TV. 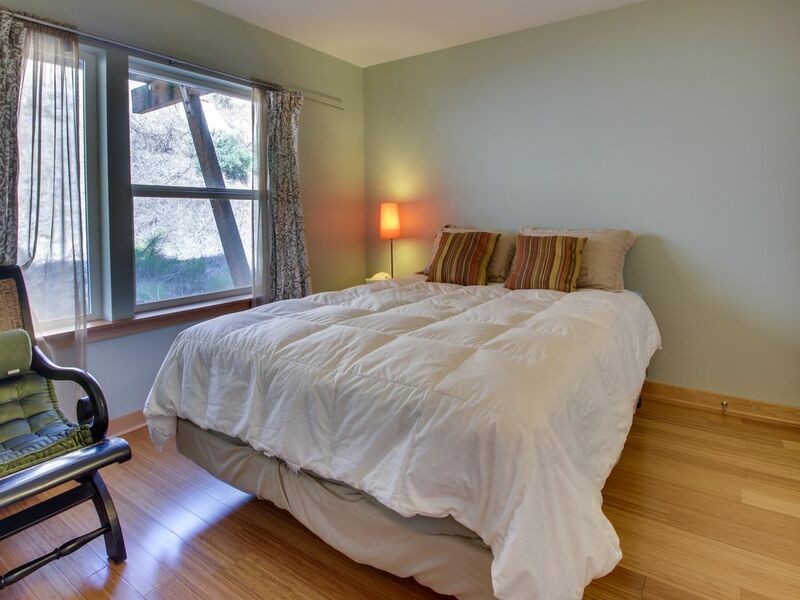 Here you will also have WiFi access, a laundry room, and Blu-ray, DVD, and VHS players with a selection of movies. 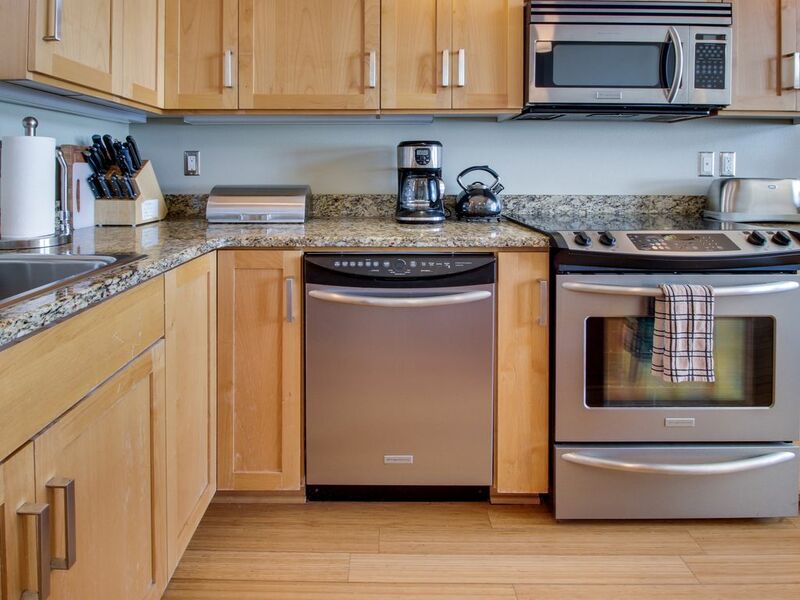 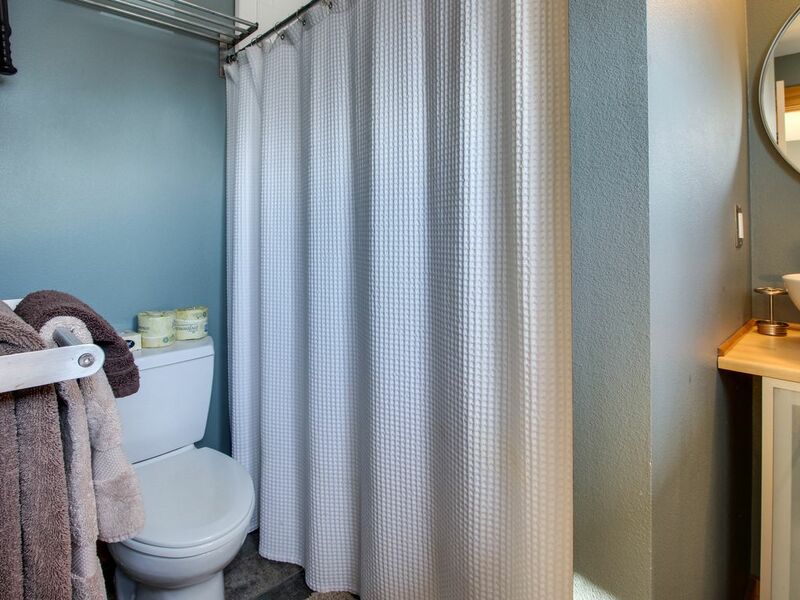 The upper level also houses one bathroom and the full kitchen, which is well-appointed with all the appliances and tools you may need to prepare meals during your stay. 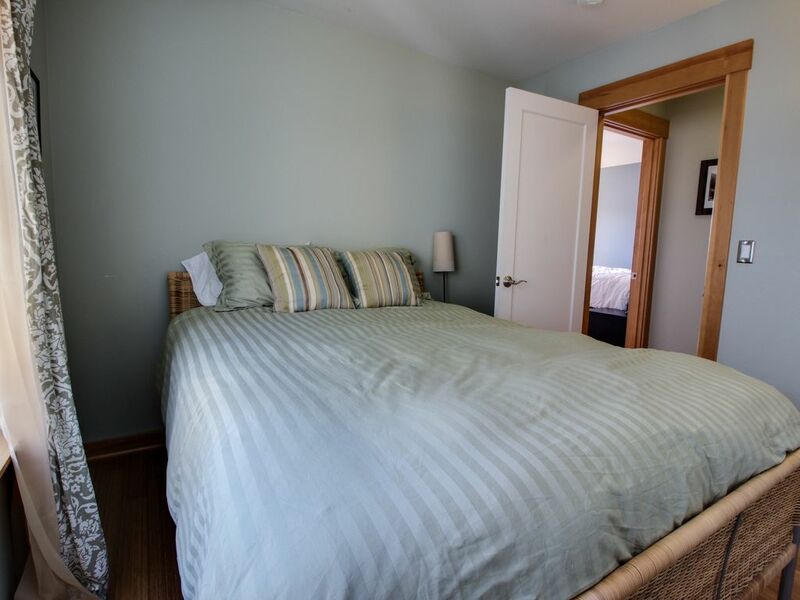 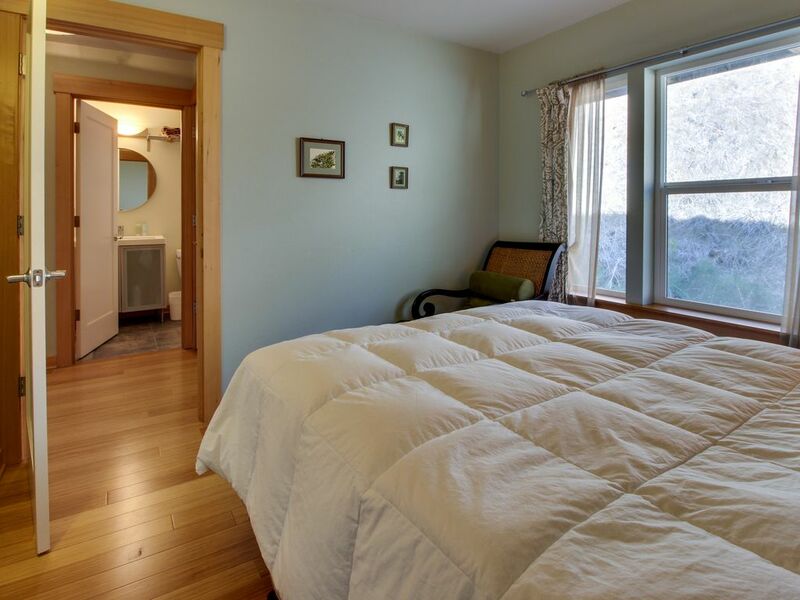 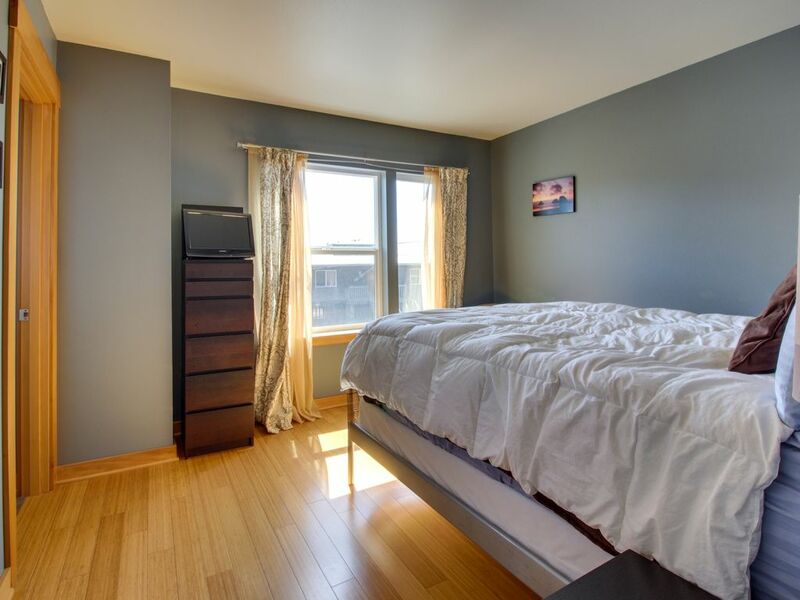 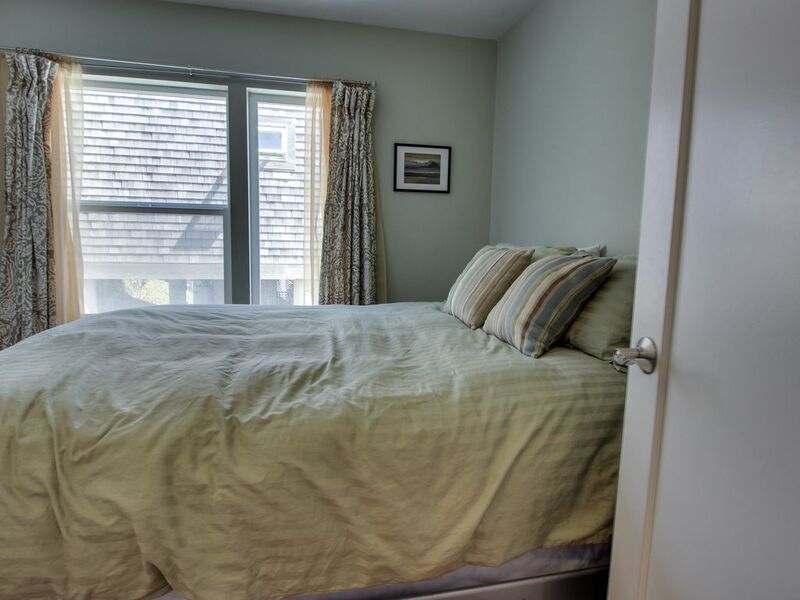 Downstairs you will find the three bedrooms ; all with queen-size beds. 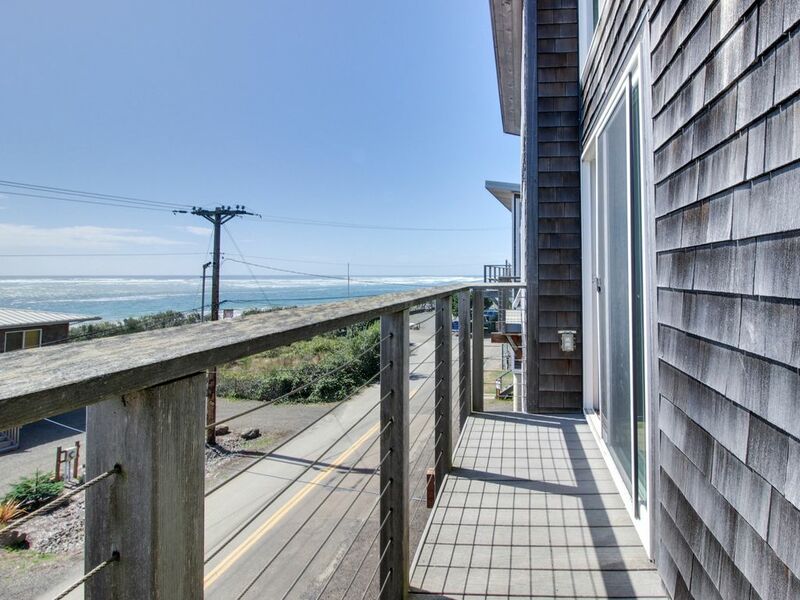 If you walk outside from the living room, you will discover an ocean-facing deck where you will love to spend time, breathe in the fresh air, and marvel at the views of the sea. 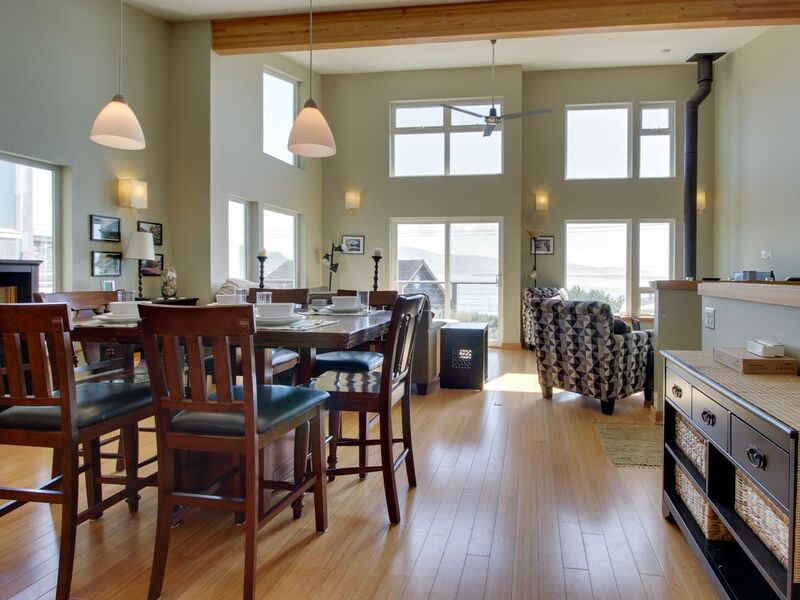 This home is a wonderful place to bring the whole family and even a few friends to enjoy a slow-paced beach vacation. 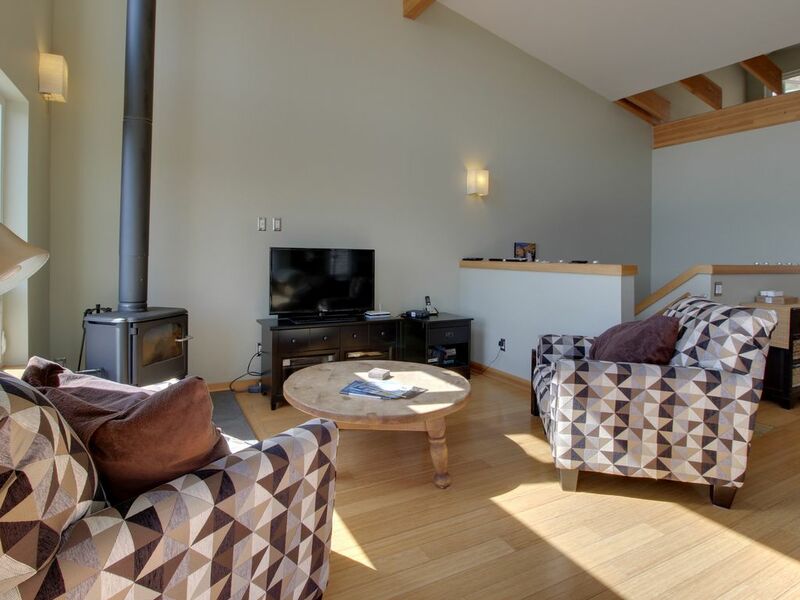 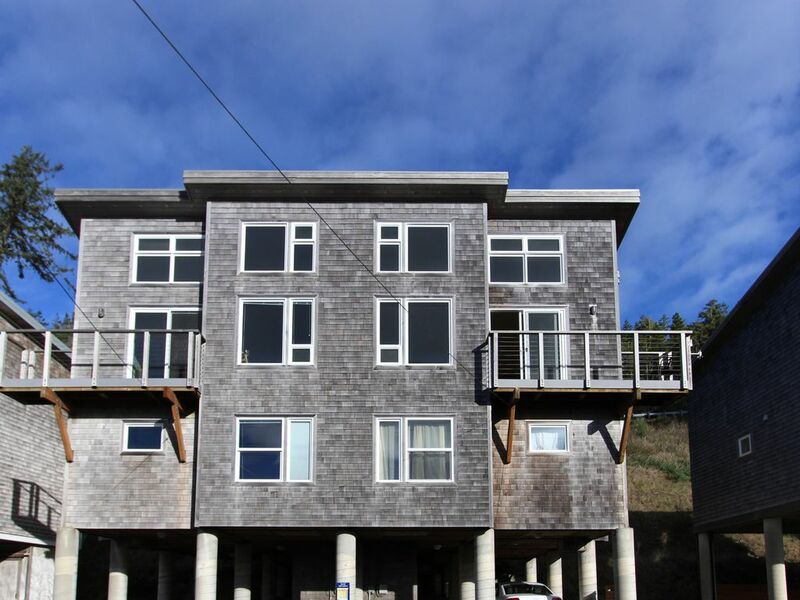 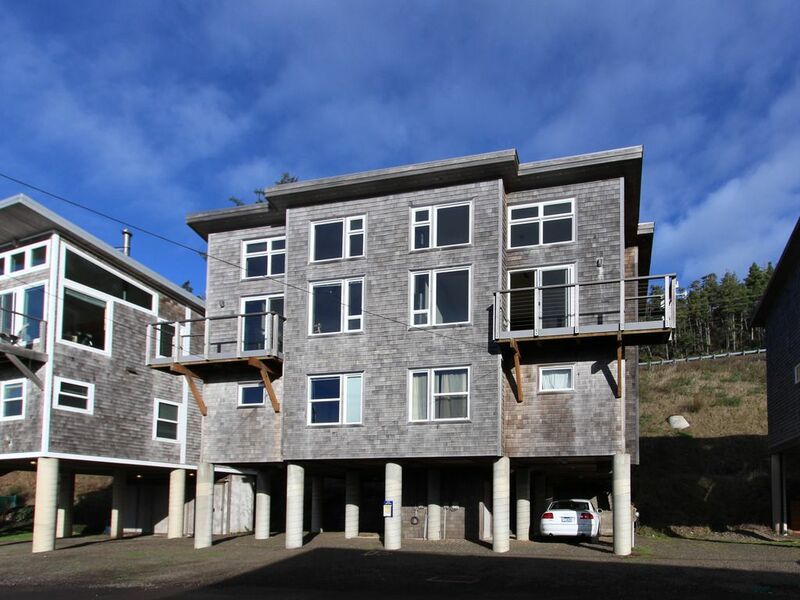 Neskowin has plenty of small-town charm and friendly locals, so you can spend your entire visit walking along the beach, relaxing in this home, and enjoying the company of your family and friends. 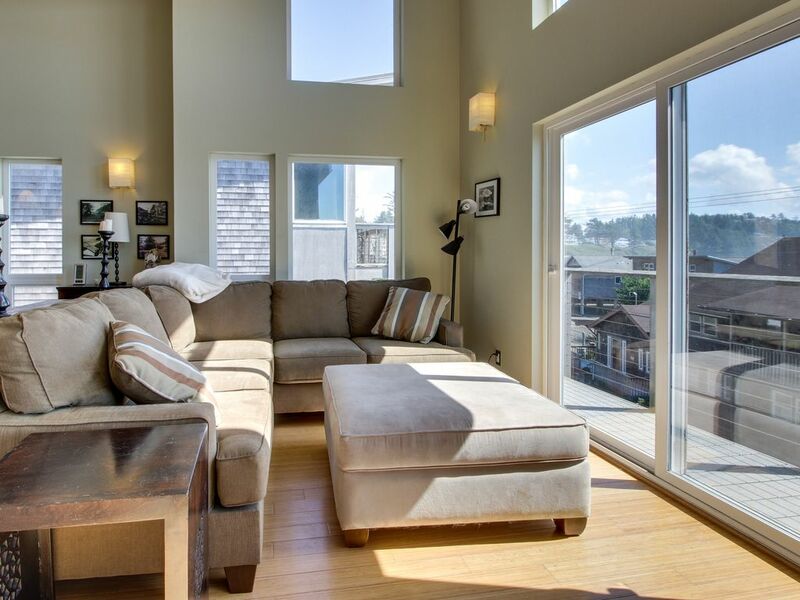 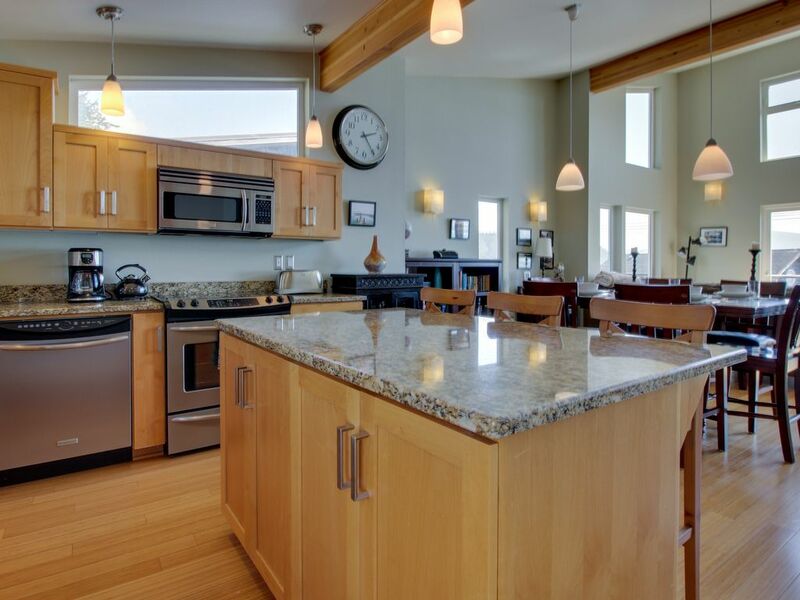 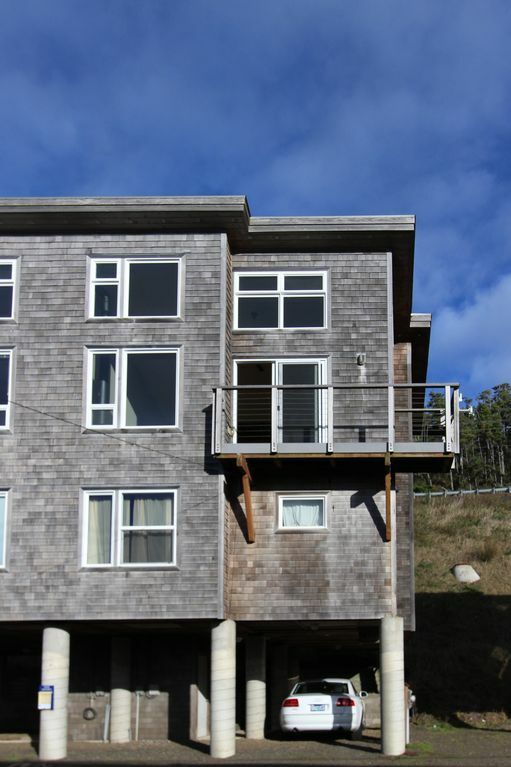 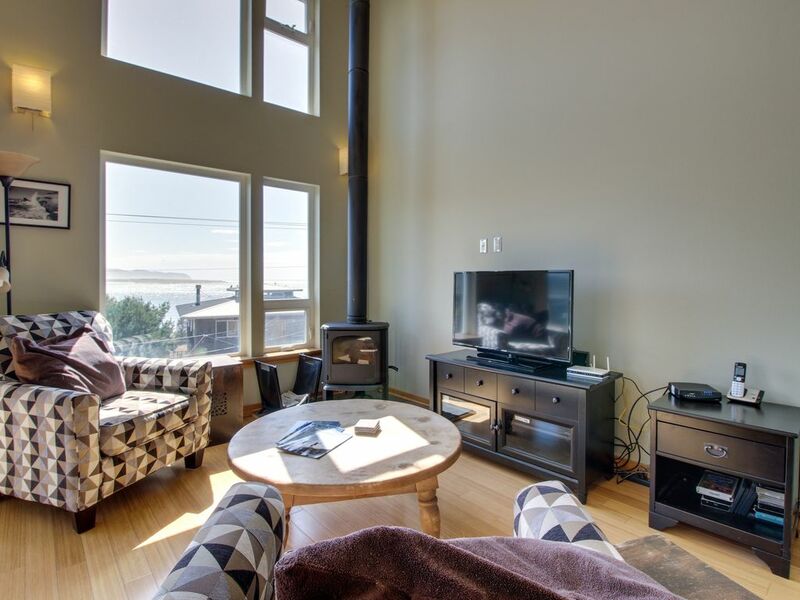 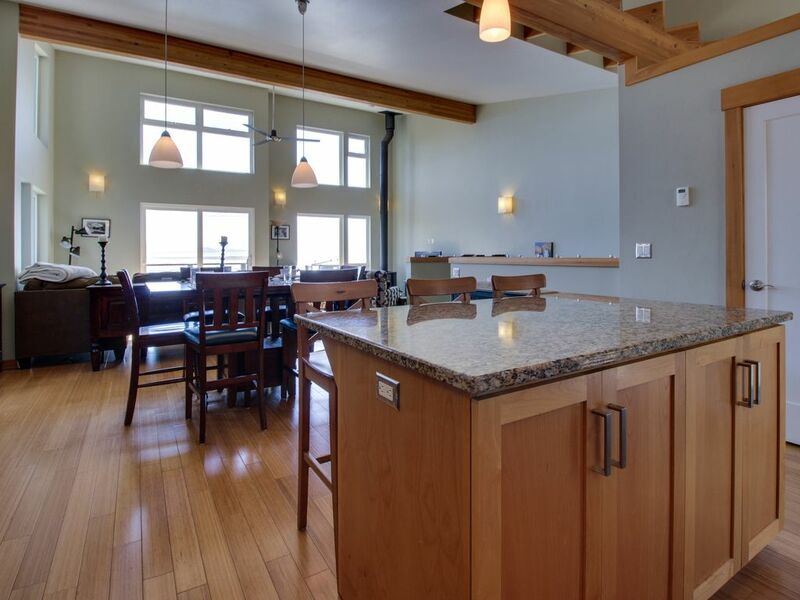 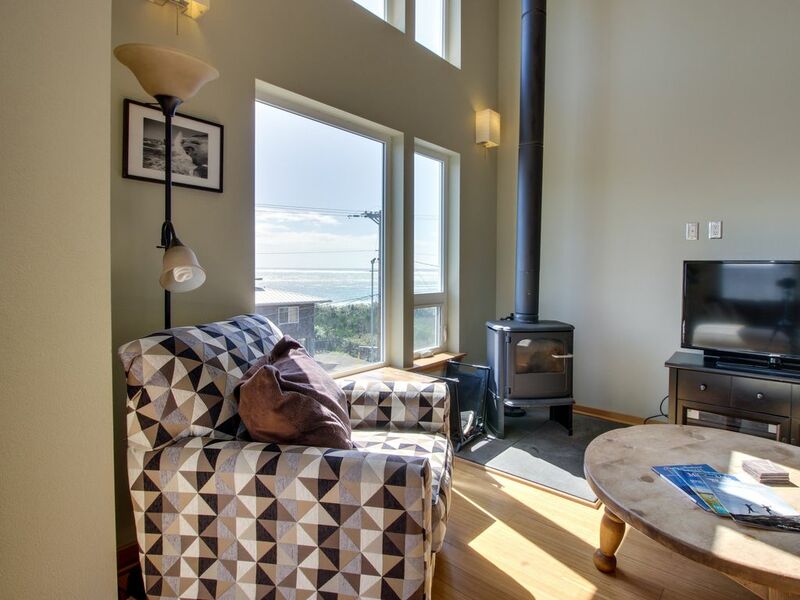 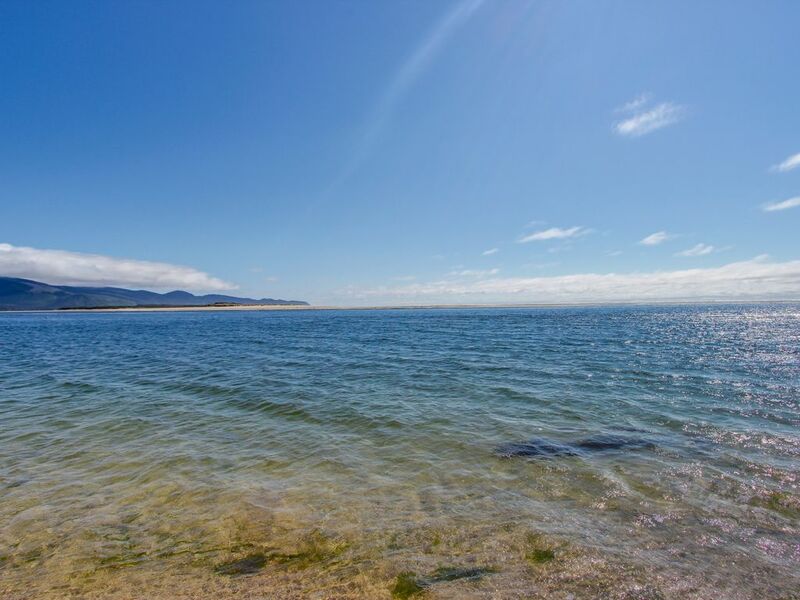 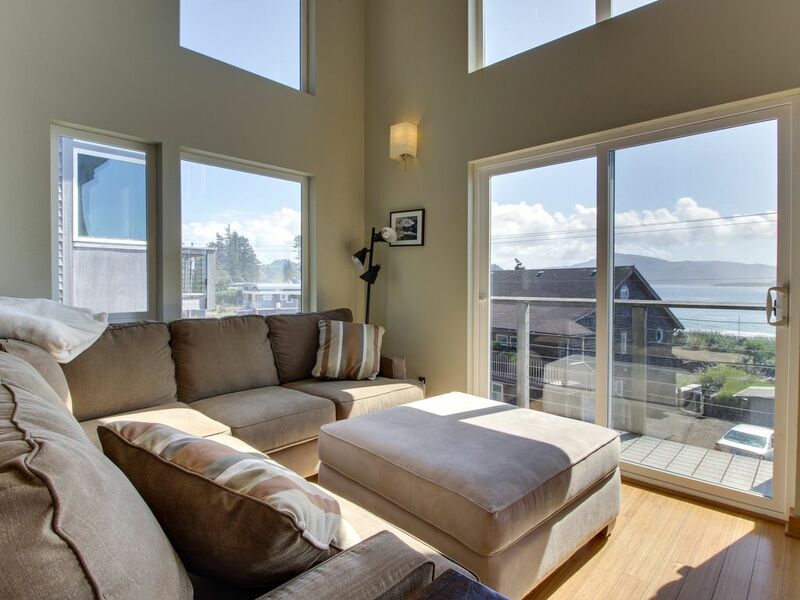 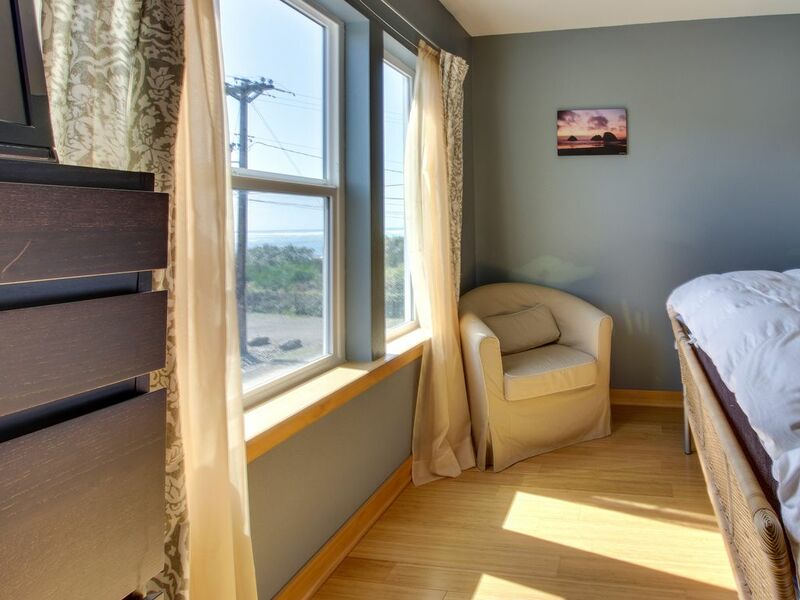 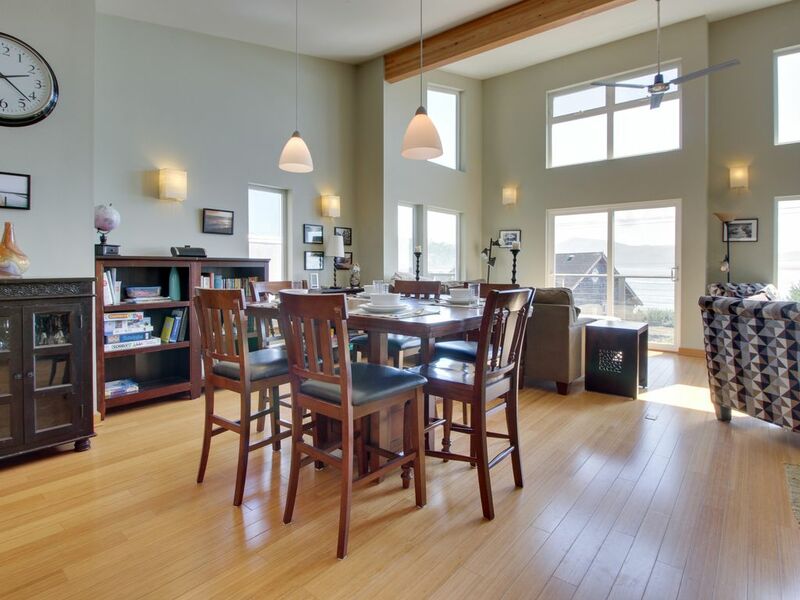 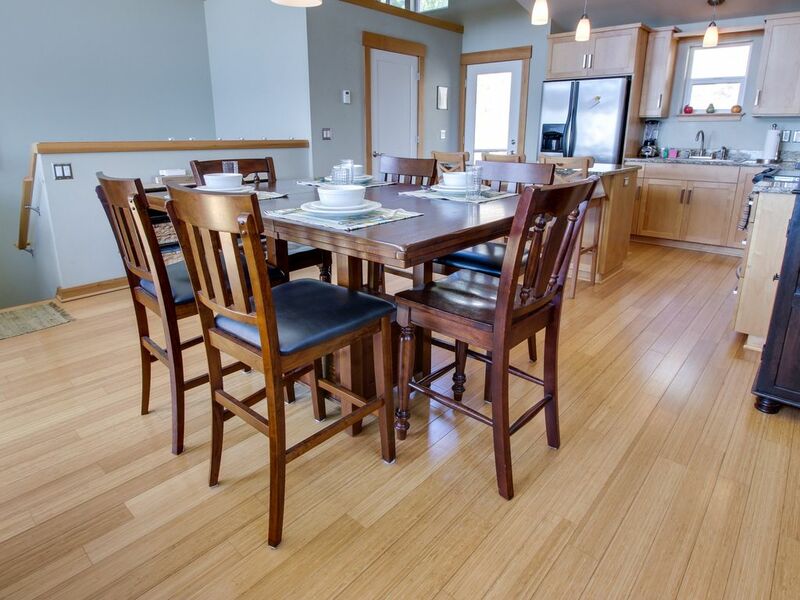 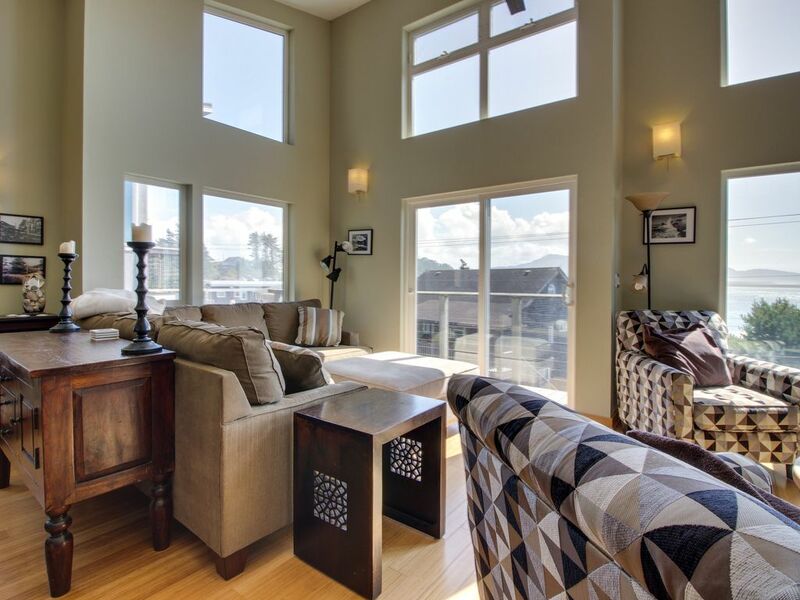 However you choose to spend your stay, this oceanview home in Neskowin has a comfortable interior and plenty of space for everyone!